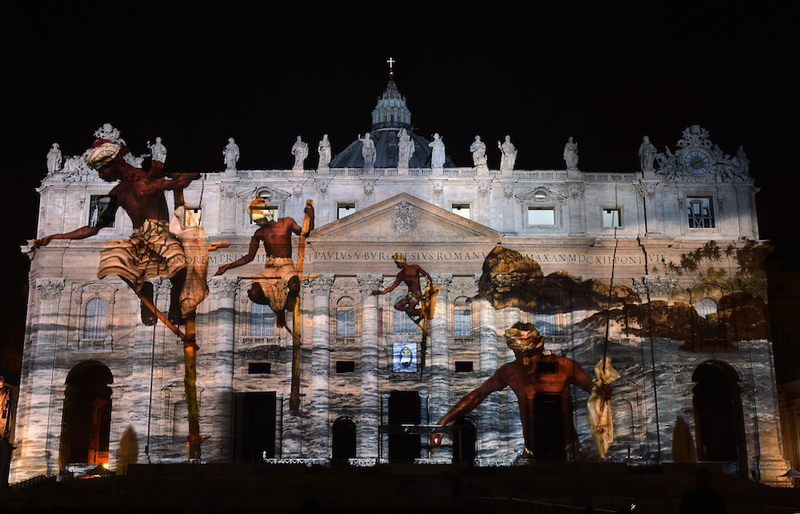 Pope Francis inaugurated a special year of Mercy at the Vatican on Tuesday but fears of terrorism meant that the crowds in St Peter’s Square were much more modest than expected. 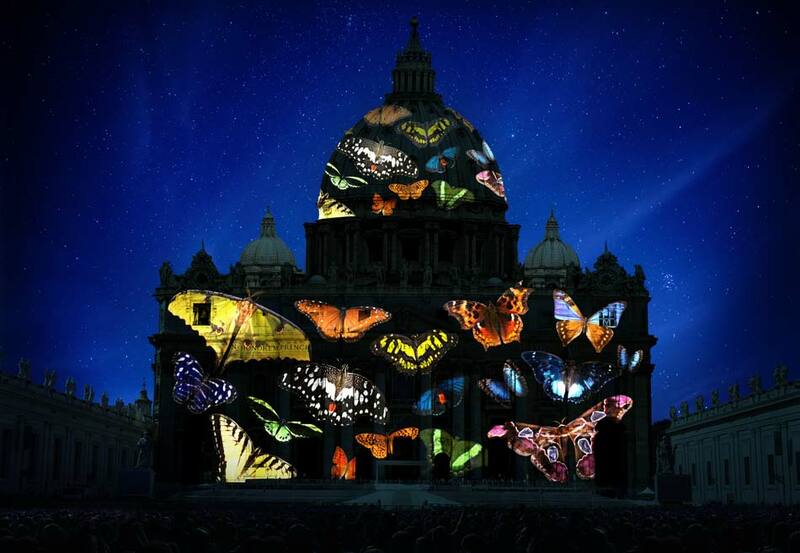 The Vatican had hoped that up to 100,000 people would take part in an open-air Mass in the huge Renaissance piazza, but in the end an estimated 40,000 people attended. 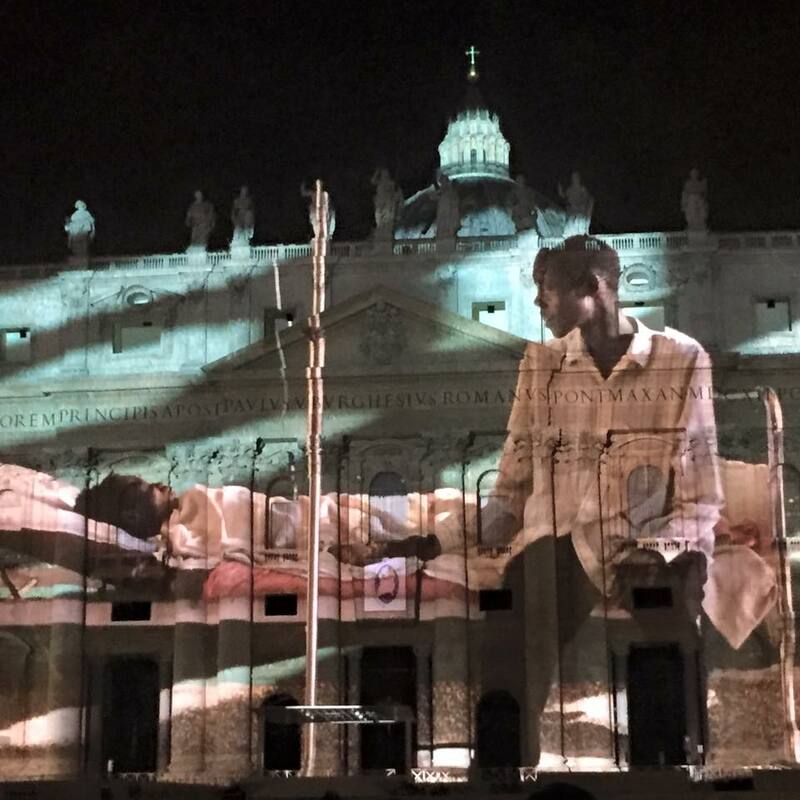 Pope Francis inaugurates special Year of Mercy. 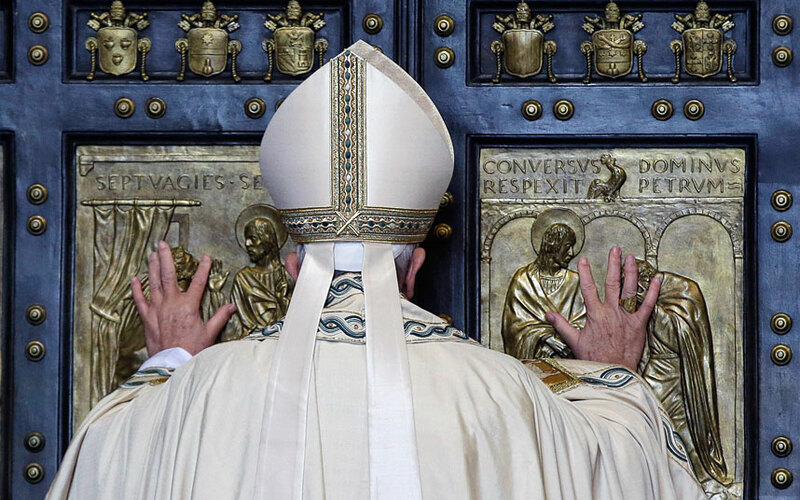 The Jubilee Year of Mercy is intended to show a more open, merciful side of the Roman Catholic Church, in keeping with the message pushed by Pope Francis since he was elected in March 2013. 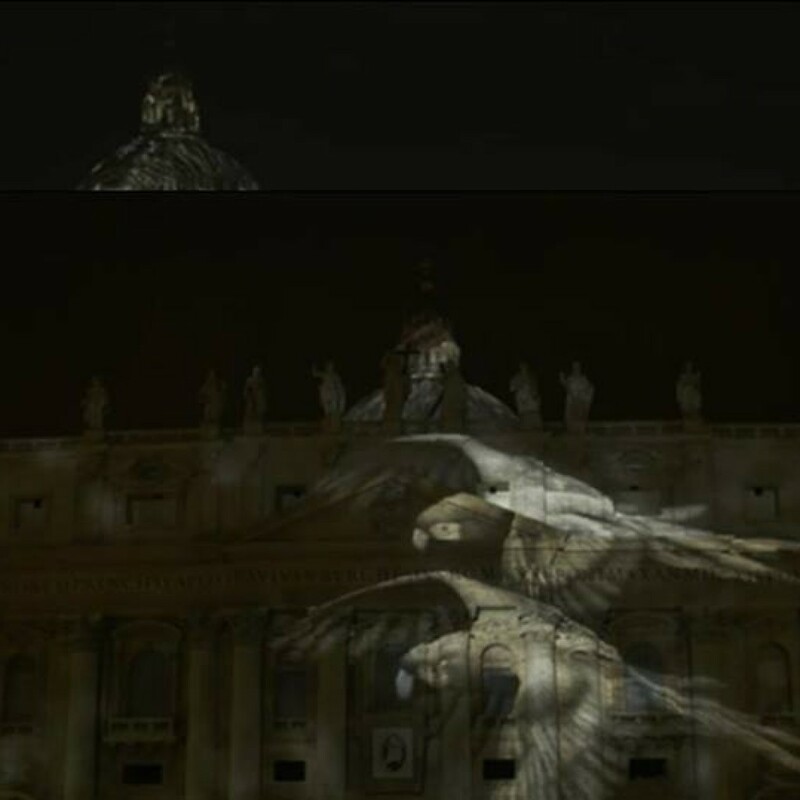 Jubilee years are normally held every 25 or 50 years but popes are able to announce special jubilees in between if they choose. 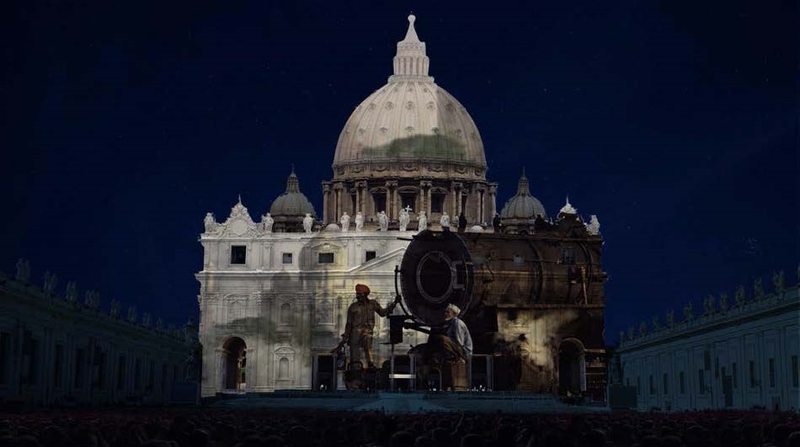 The first jubilee year was held by Pope Boniface XIII in 1300. 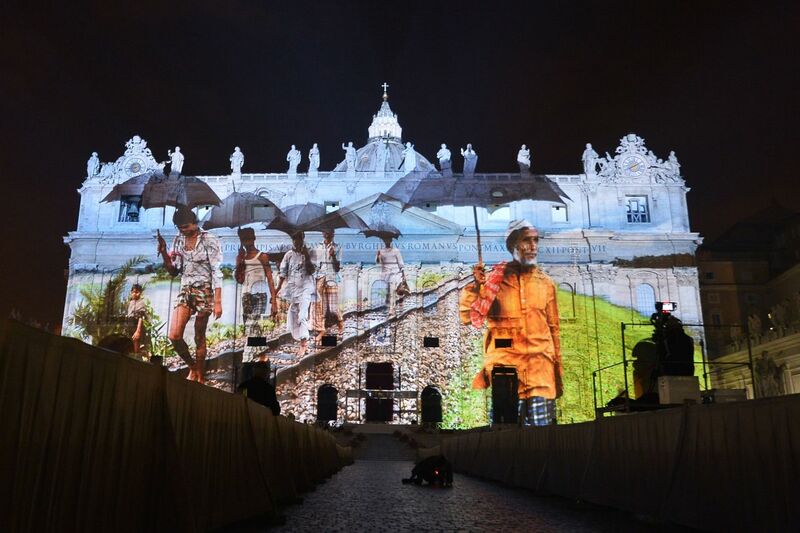 In past centuries they were a way of encouraging the faithful to make pilgrimages to Rome to obtain "indulgences" – a tradition relating to the forgiveness of sins. 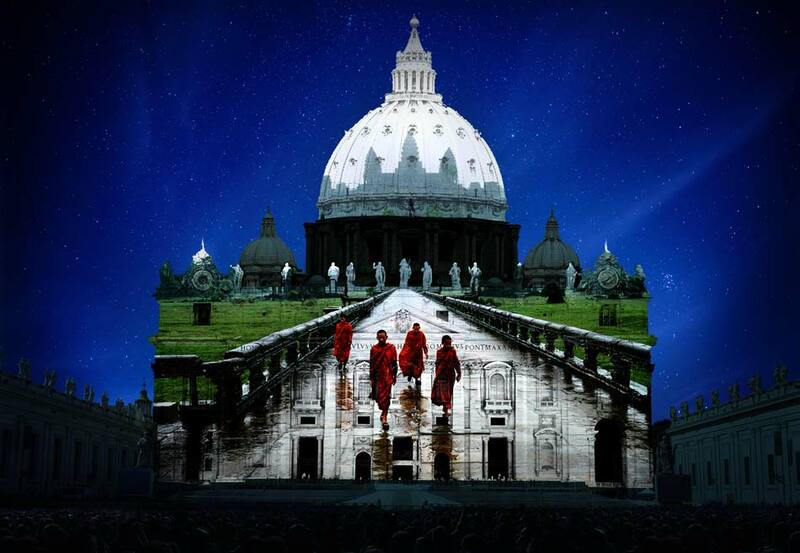 The last one was held in 2000 under Pope John Paul II, when around 25 million pilgrims flocked to Rome. 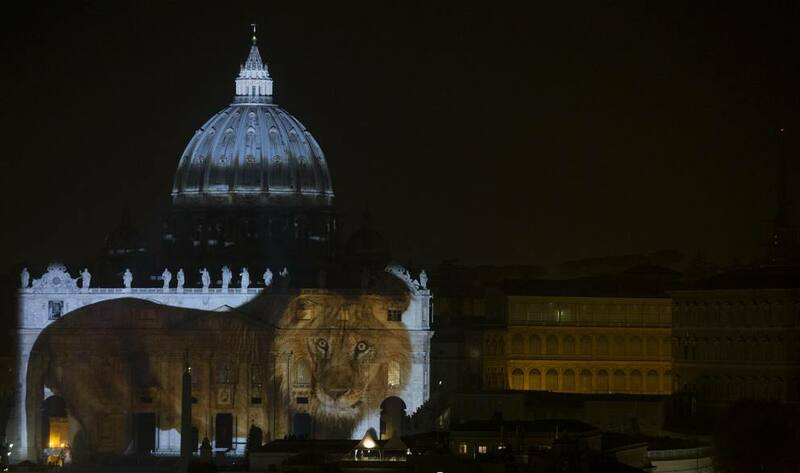 This time around, about 10 million faithful are expected to visit the capital. 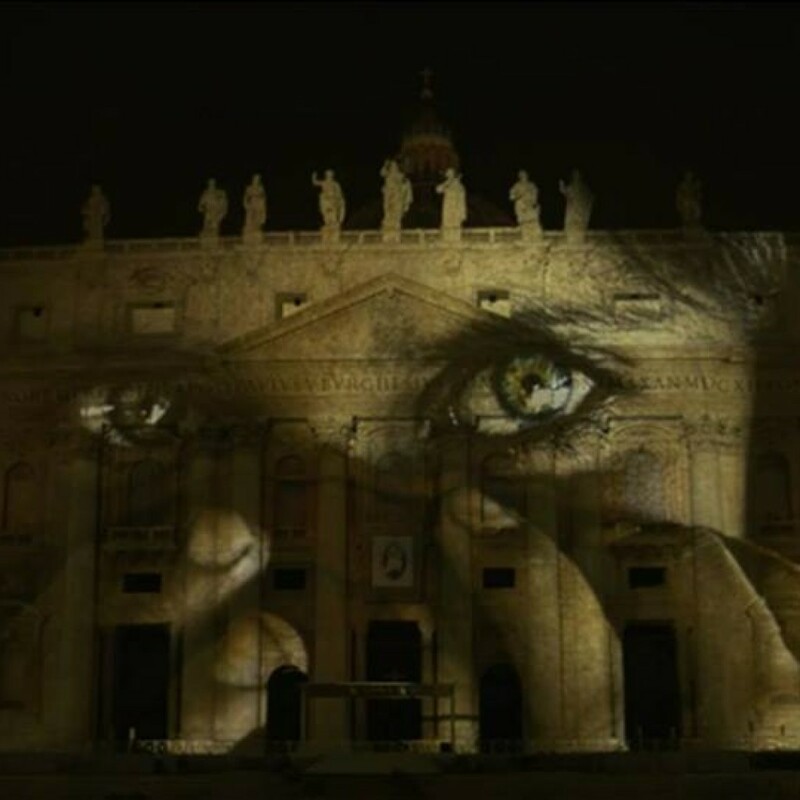 Pope Francis has announced that during the jubilee, priests will be able to offer special pardons to absolve women who have had abortions. 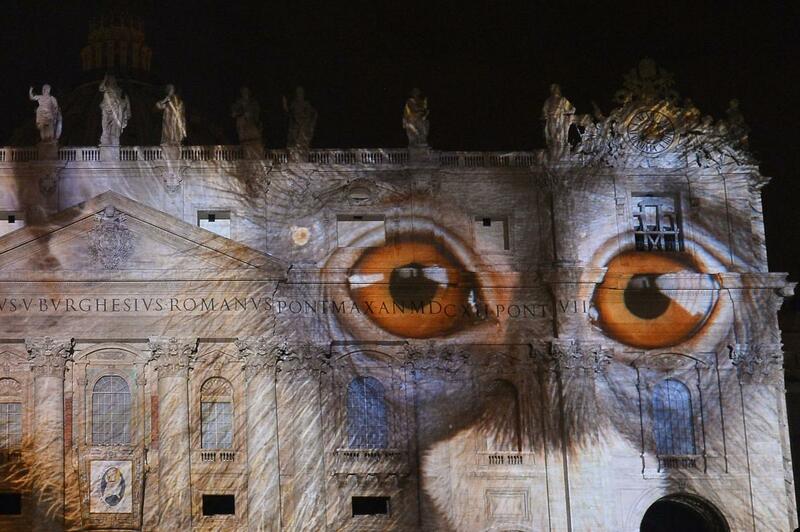 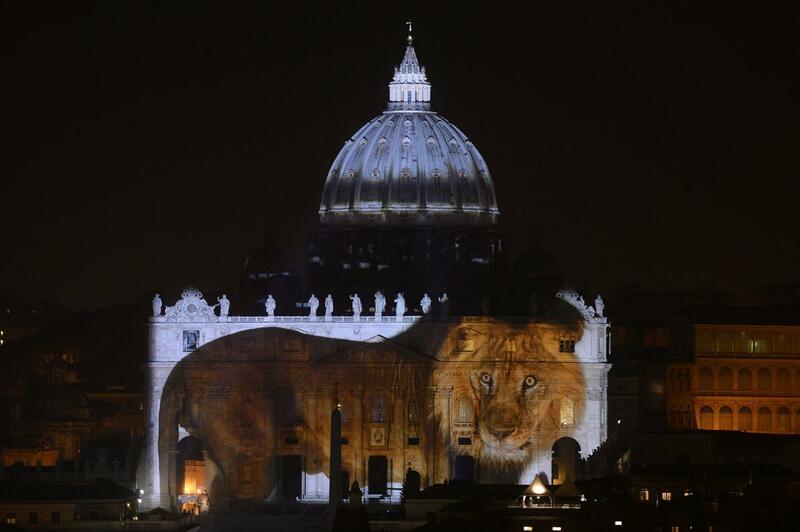 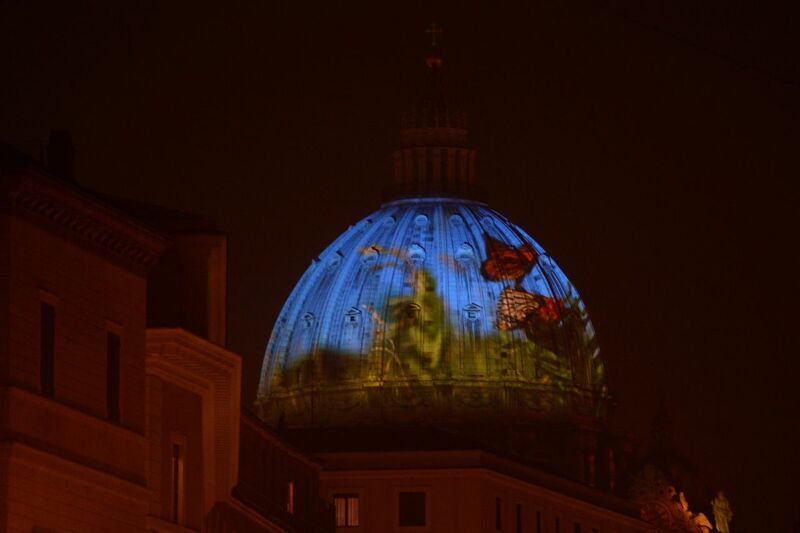 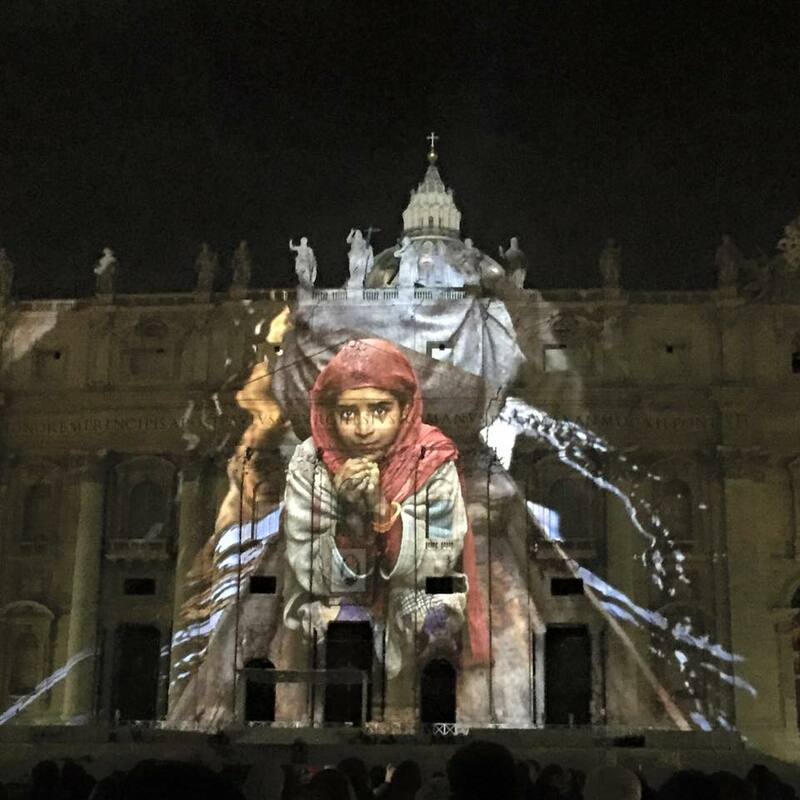 A picture is projected on the cupola of St. Peter's Basilica during the show Fiat Lux Illuminating Our Common Home, on December 8, 2015 at the Vatican. 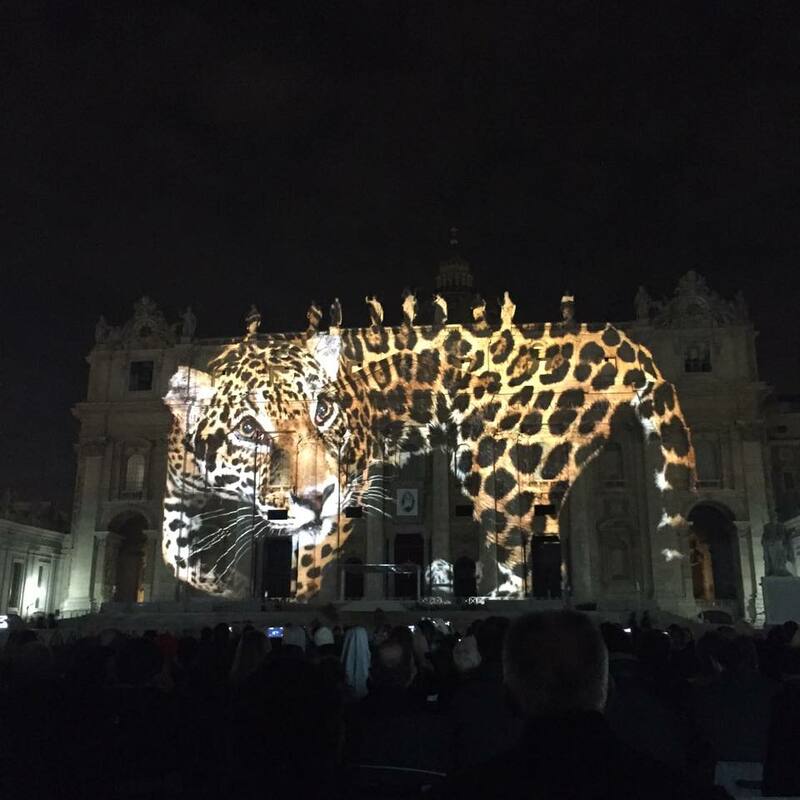 Images by some of the world’s greatest environmental photographers, including Sebastião Salgado, Joel Sartore, Steve McCurry, Yann Arthus-Bertrand and Louie Schwartzberg, are projected in solidarity with COP21 talks in Paris. 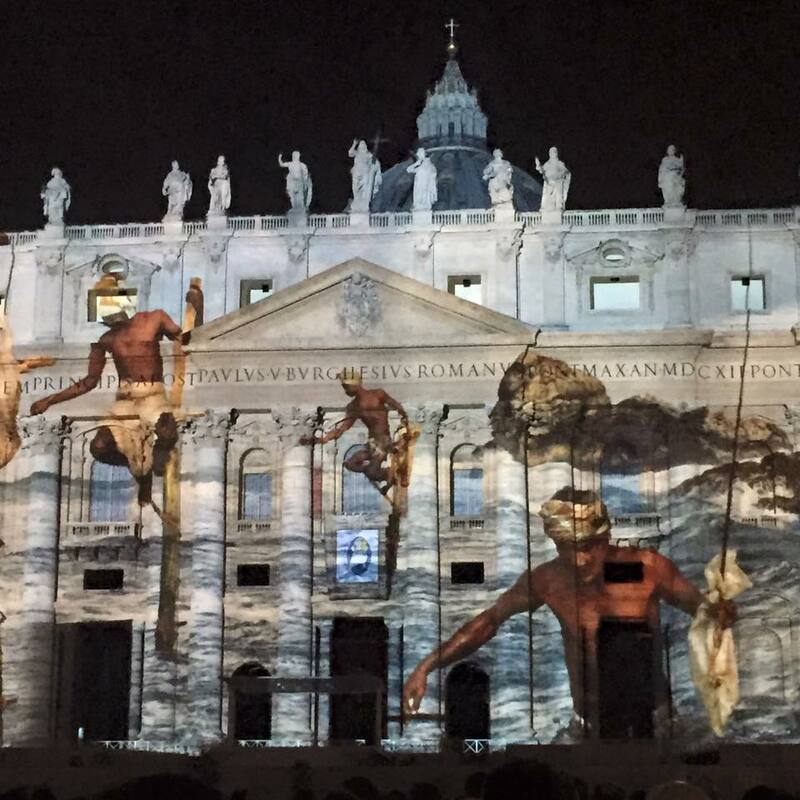 It is also part of the inauguration of the Roman Catholic Church's yearlong Jubilee of Mercy, which starts today. 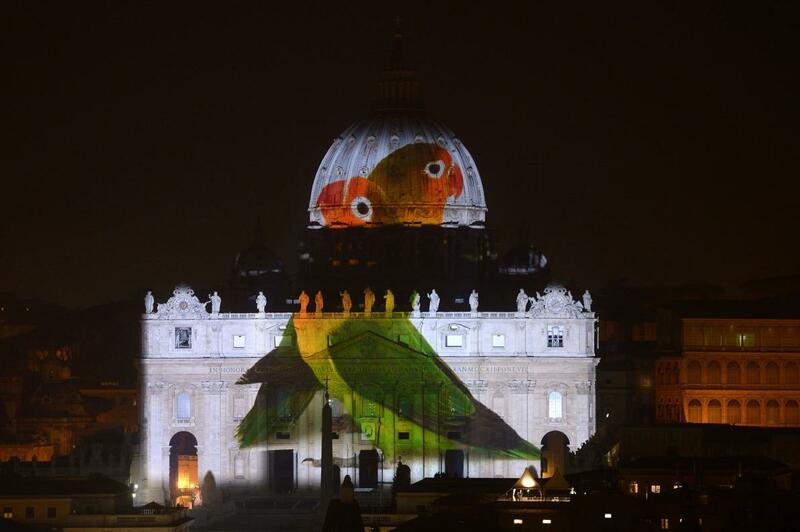 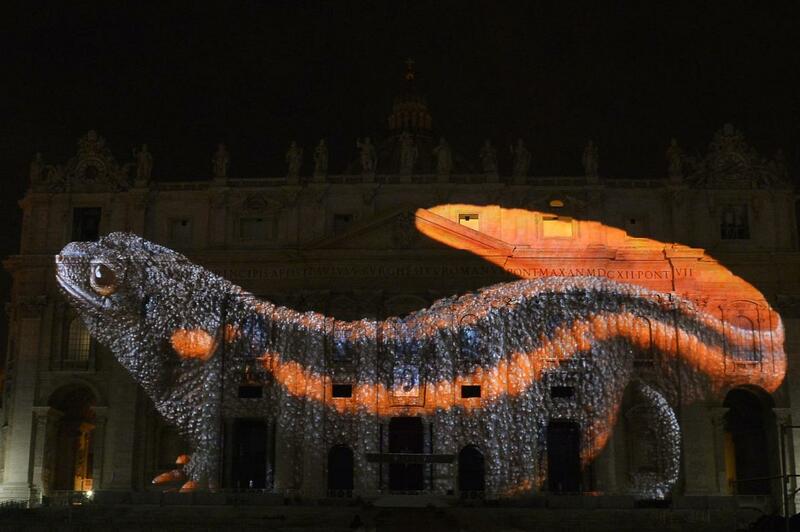 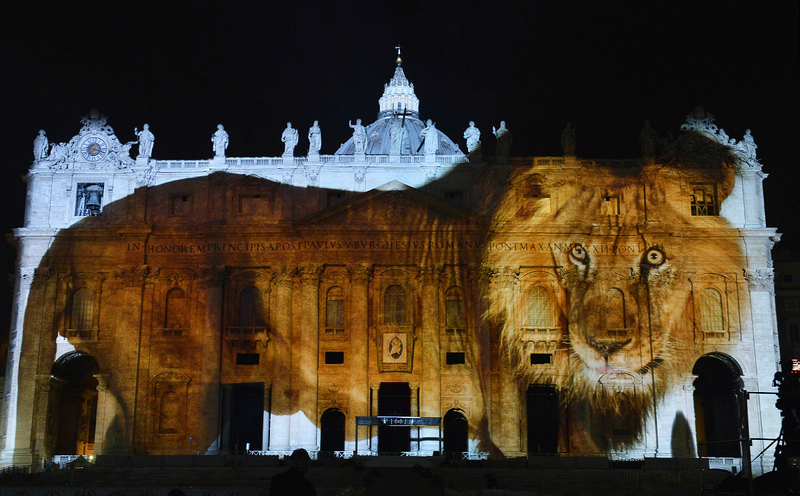 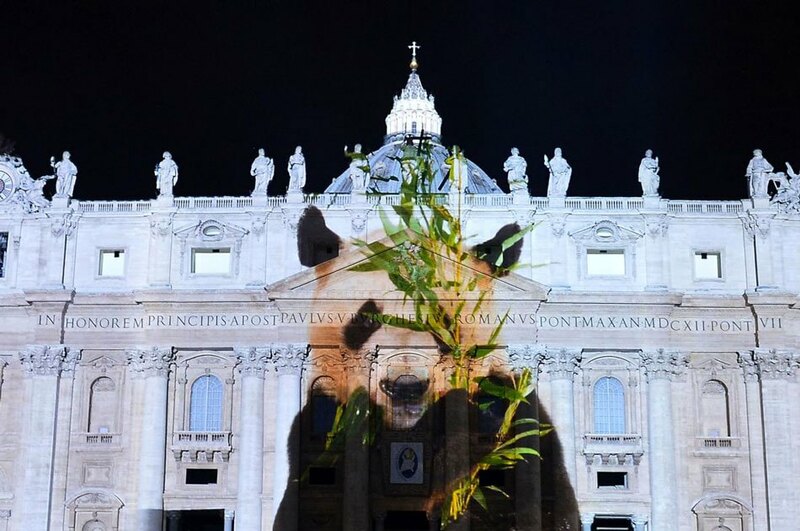 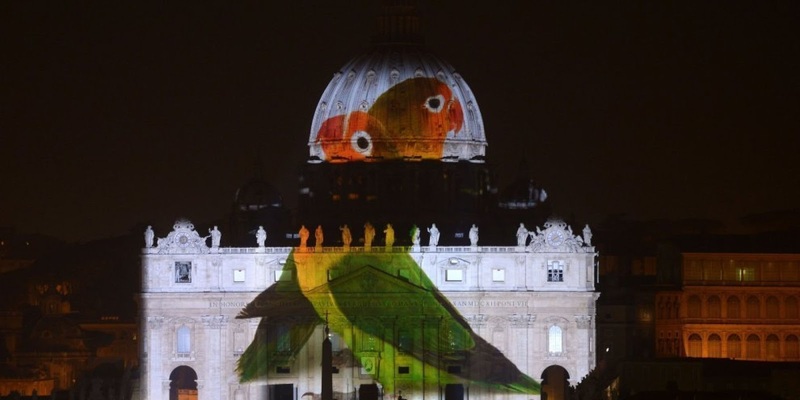 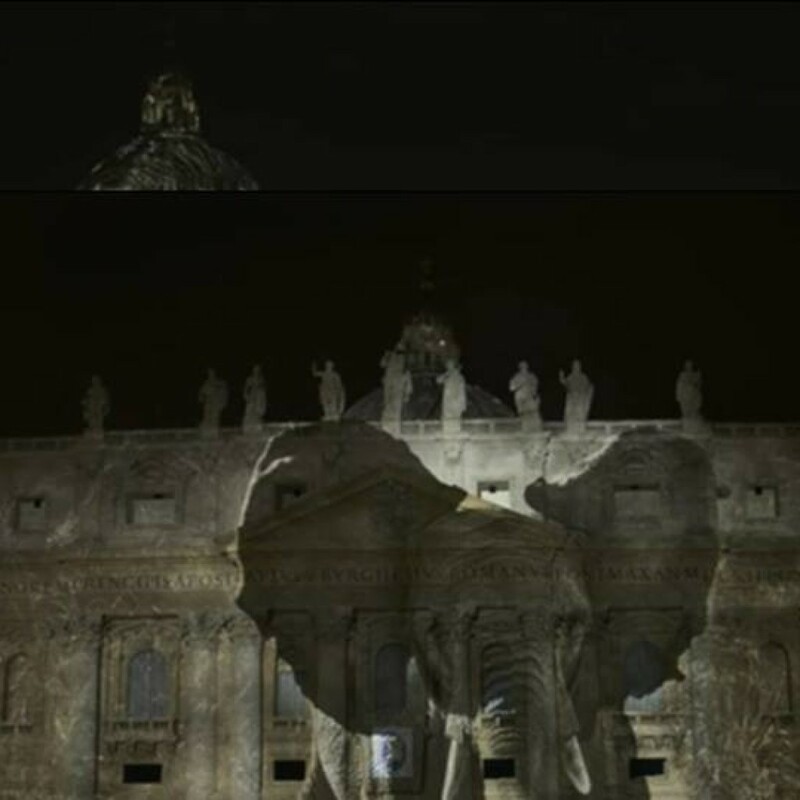 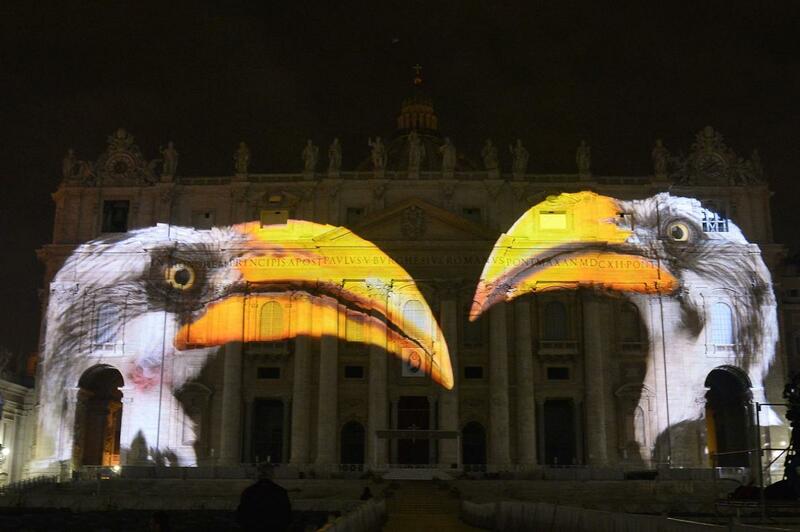 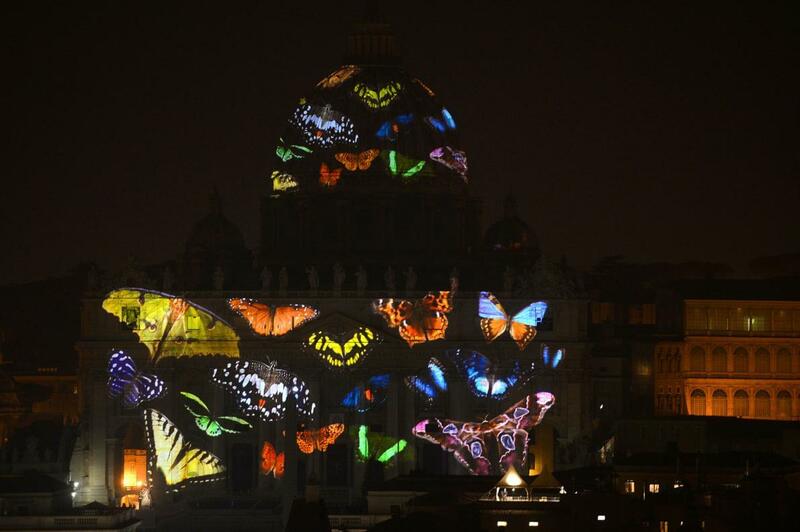 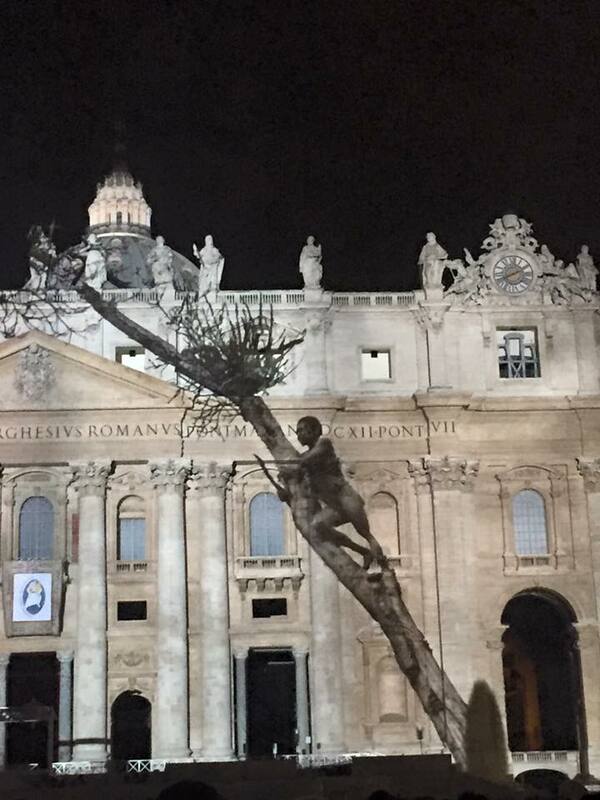 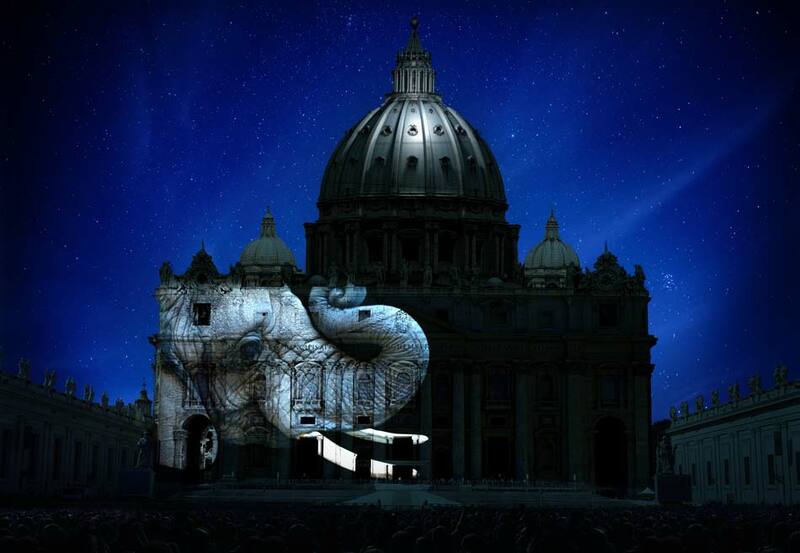 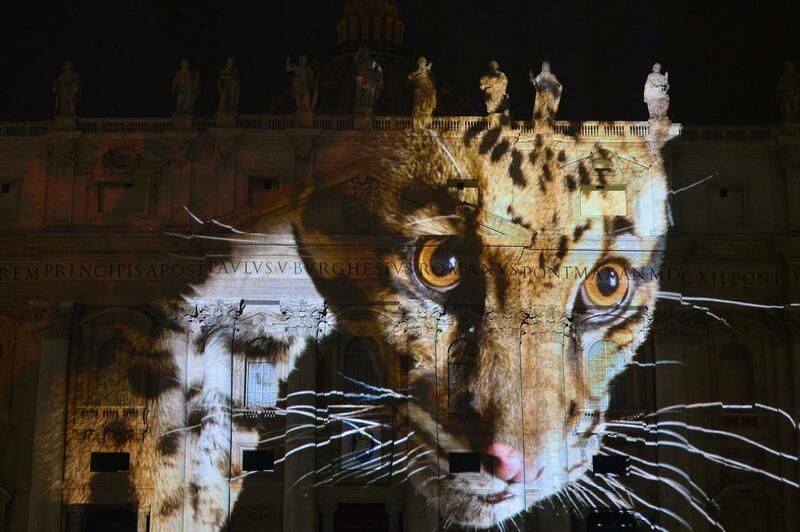 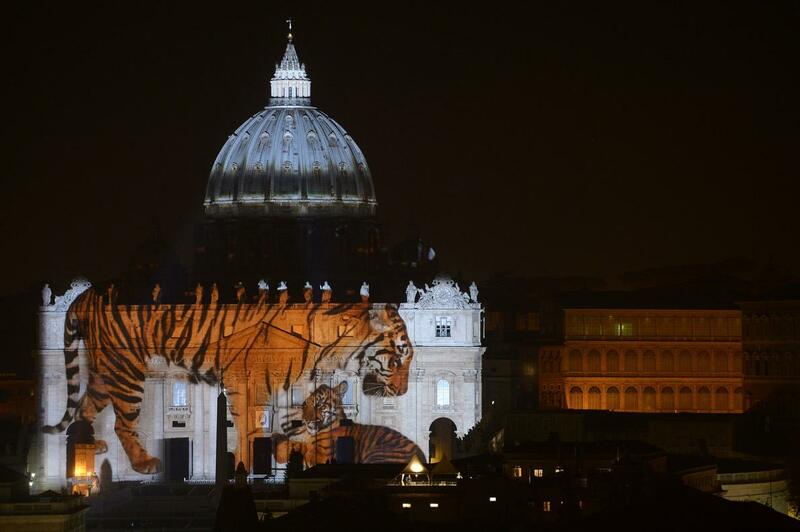 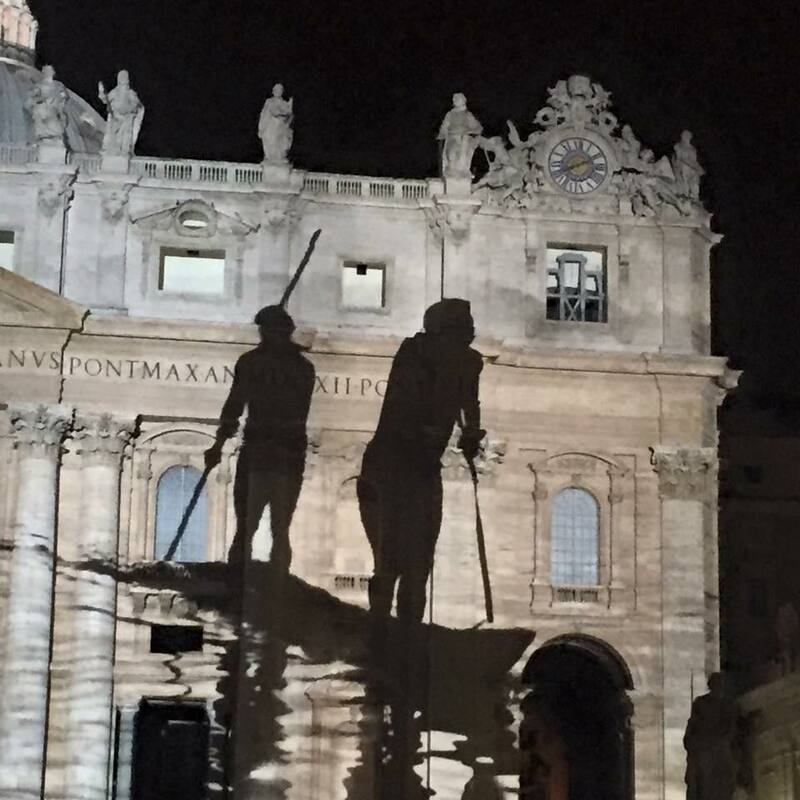 © NBCNEWS.COM / St. Peter's Basilica in the Vatican will be transformed Tuesday into the canvas for a spectacular public art project designed to draw attention to climate change and endangered species. 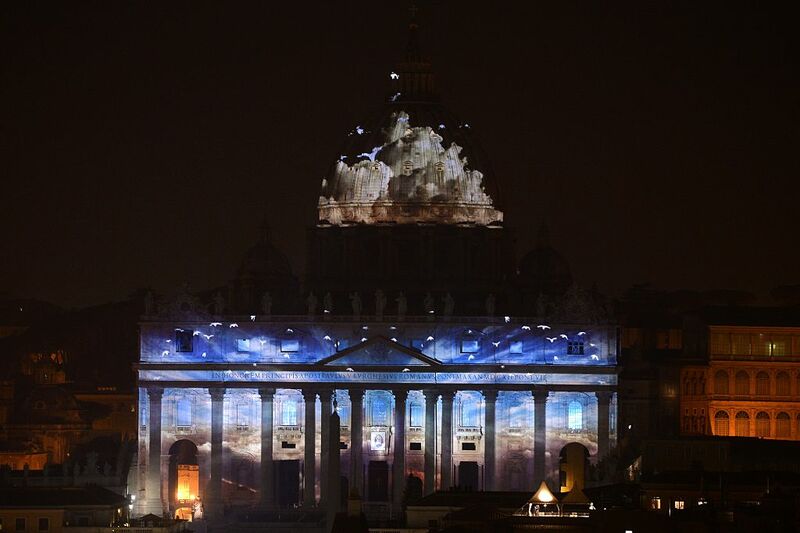 Computer renderings of the images that will be projected onto the domed building provide a glimpse of what viewers in person and online will see as "Fiat Lux" unfolds starting at 7 p.m. Rome time. 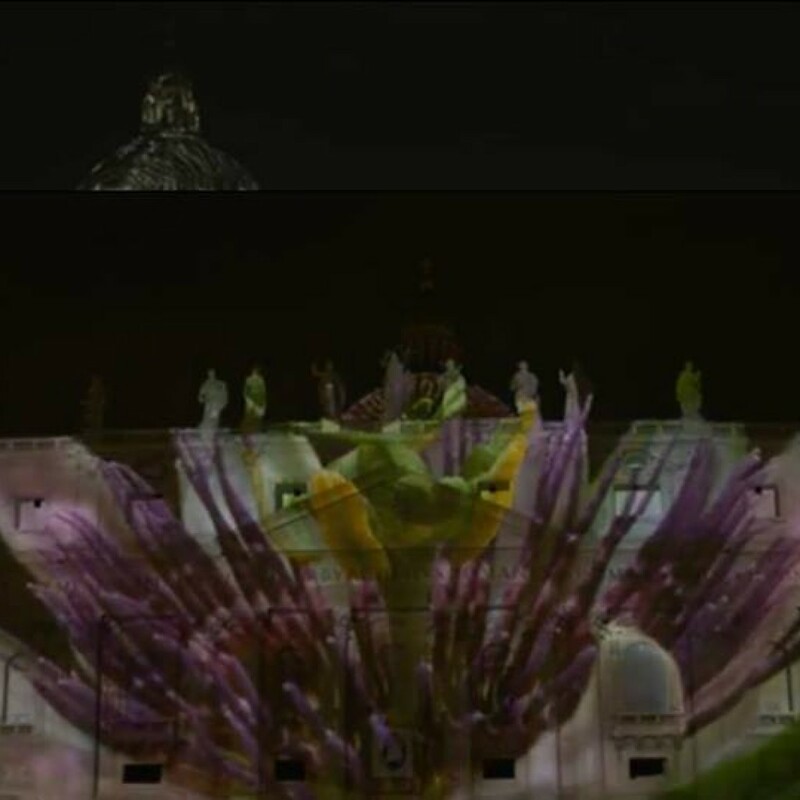 "I think people are going to cry and be emotionally moved with how beautiful it is", Travis Threkel, one of the curators of the event, told NBC News as his team put the finishing touches on the production. 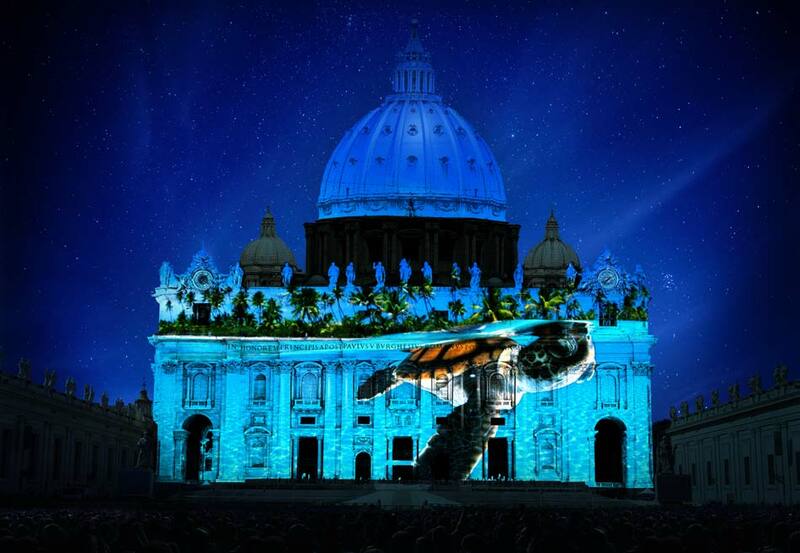 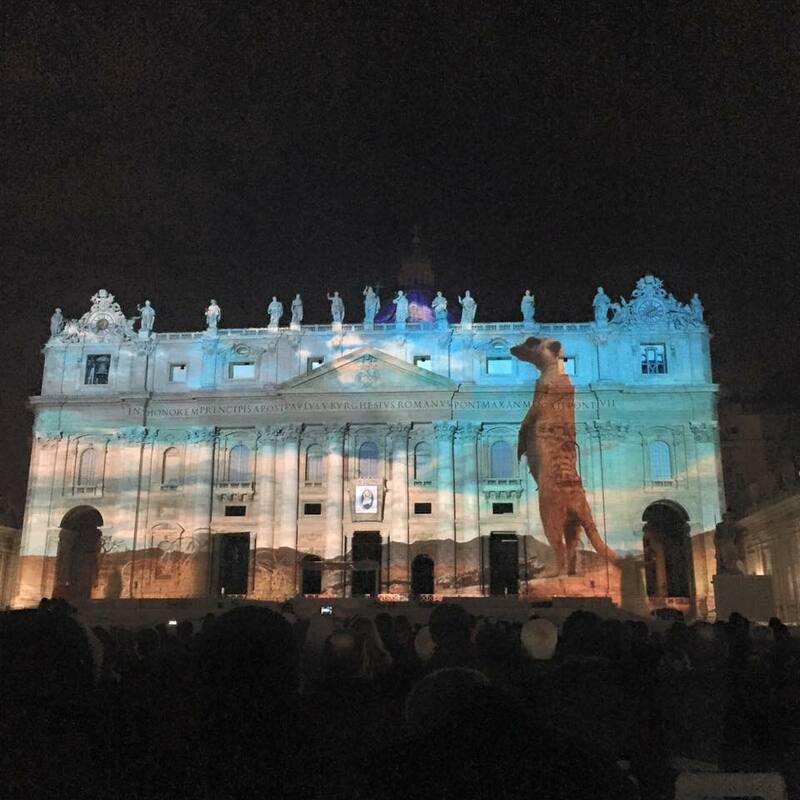 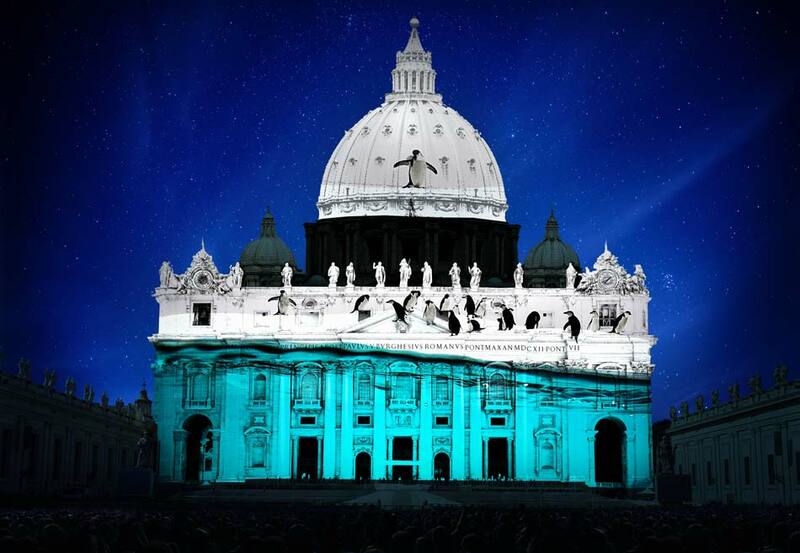 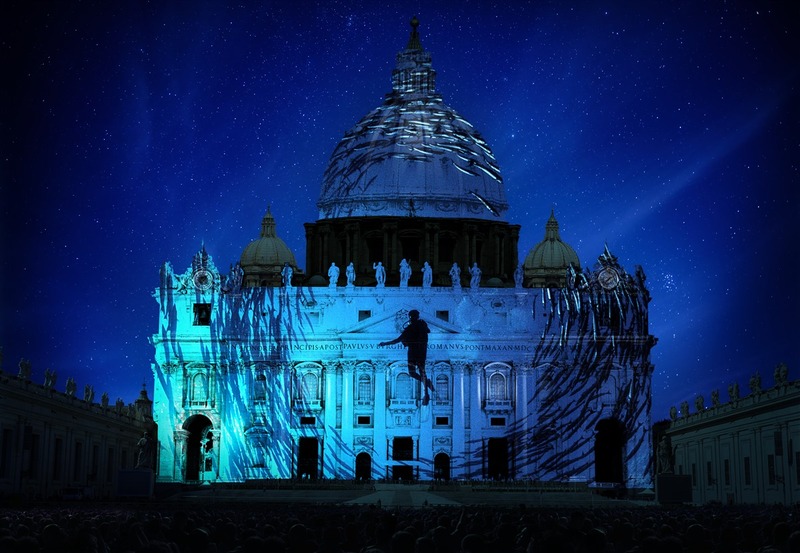 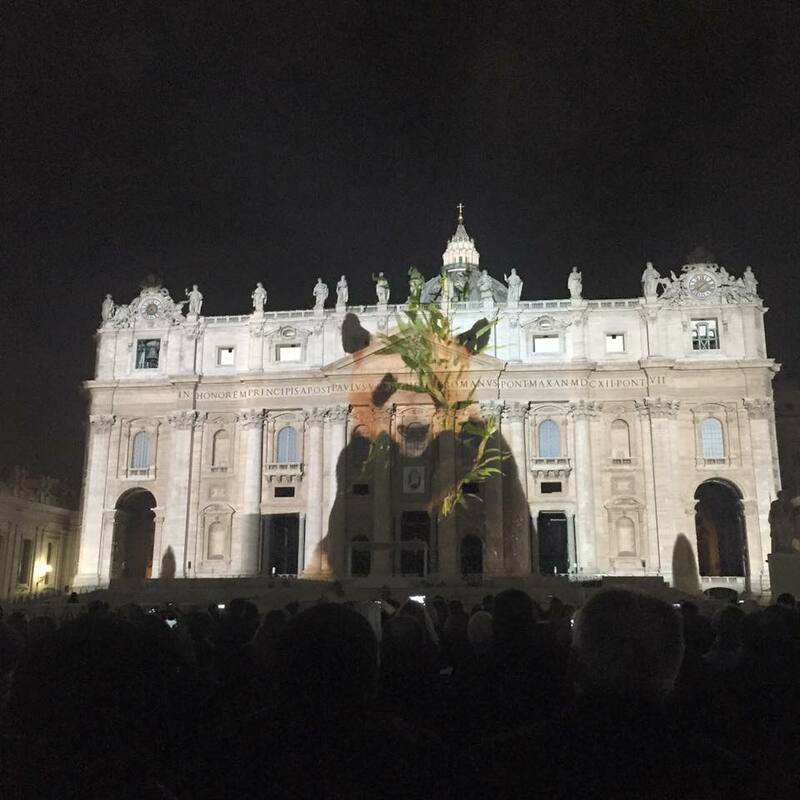 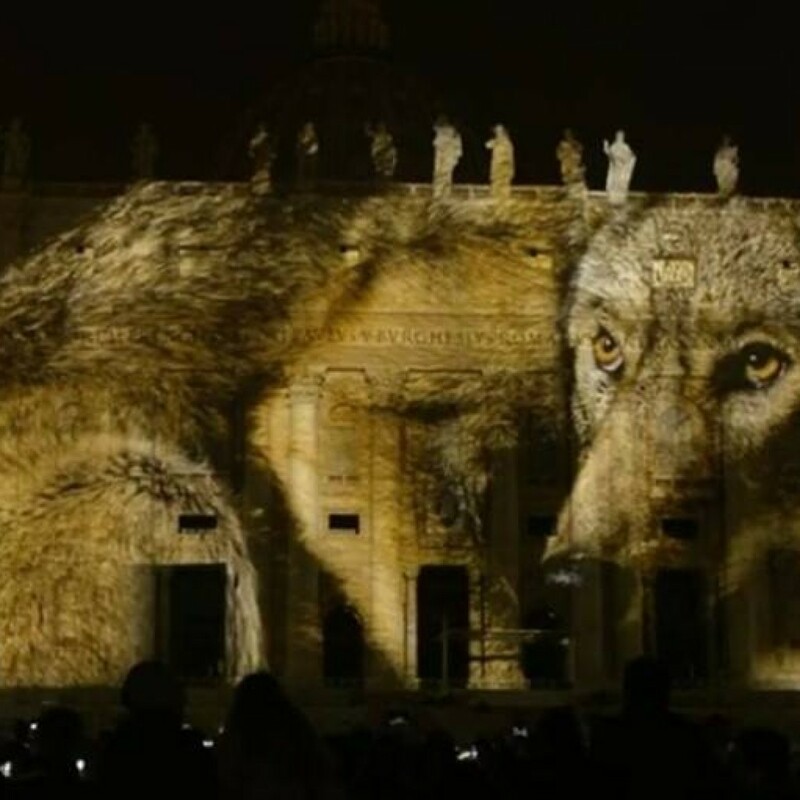 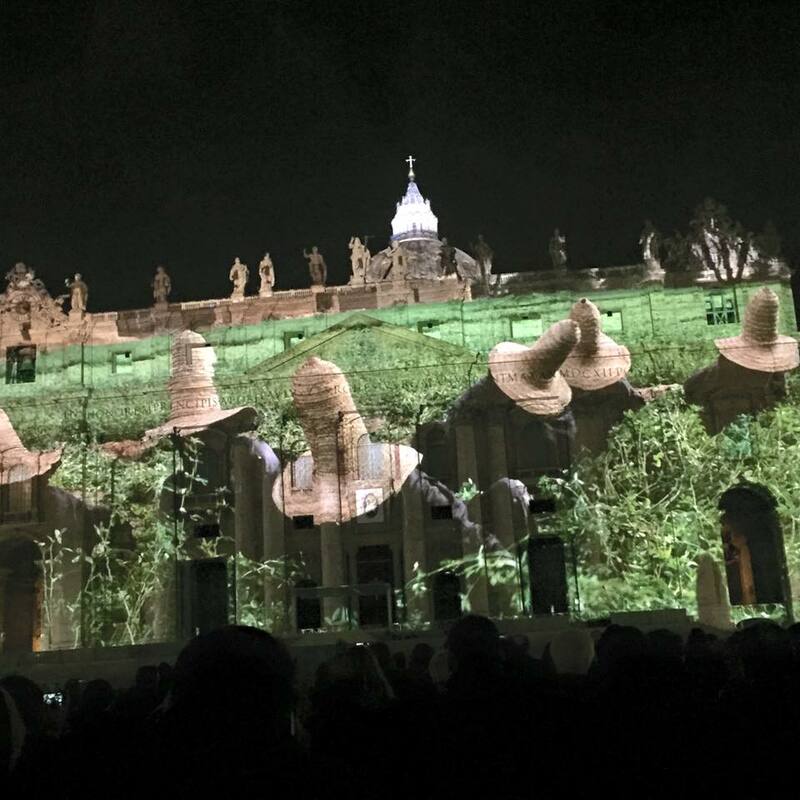 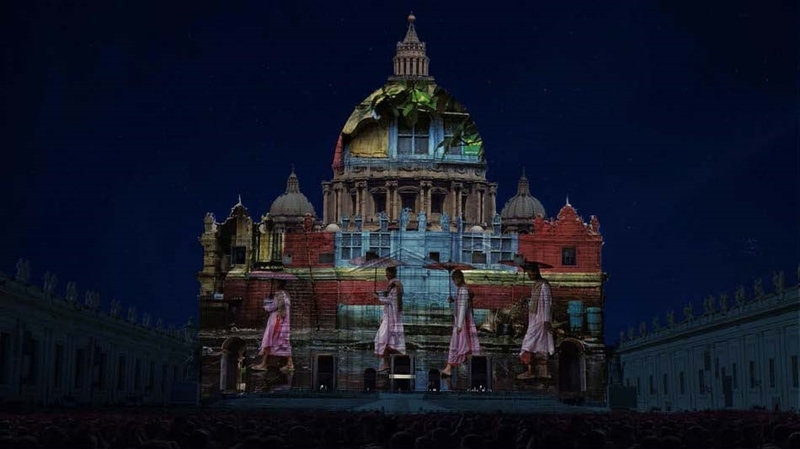 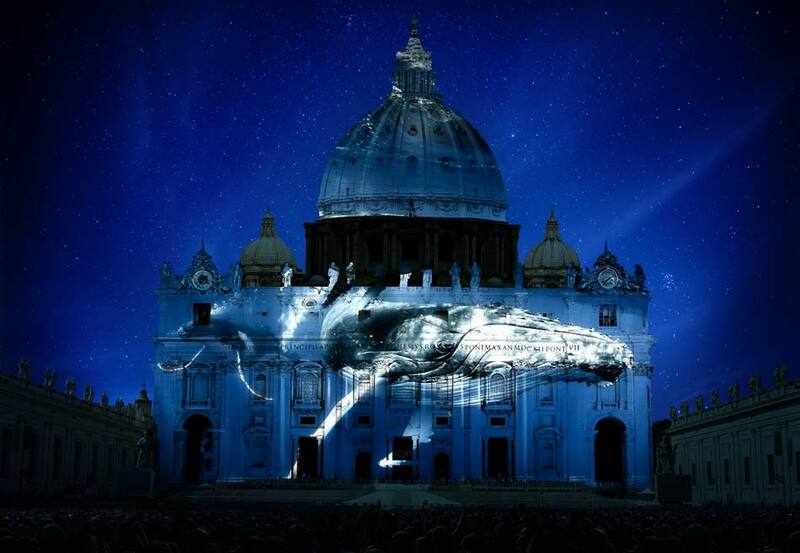 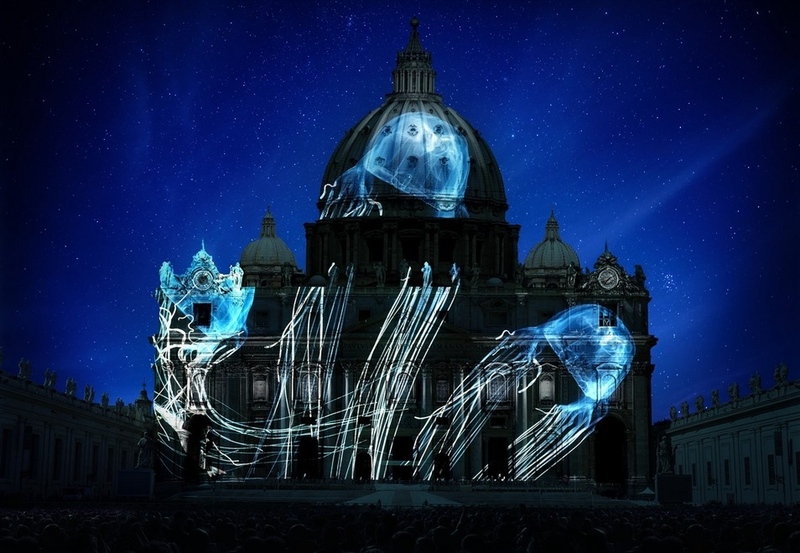 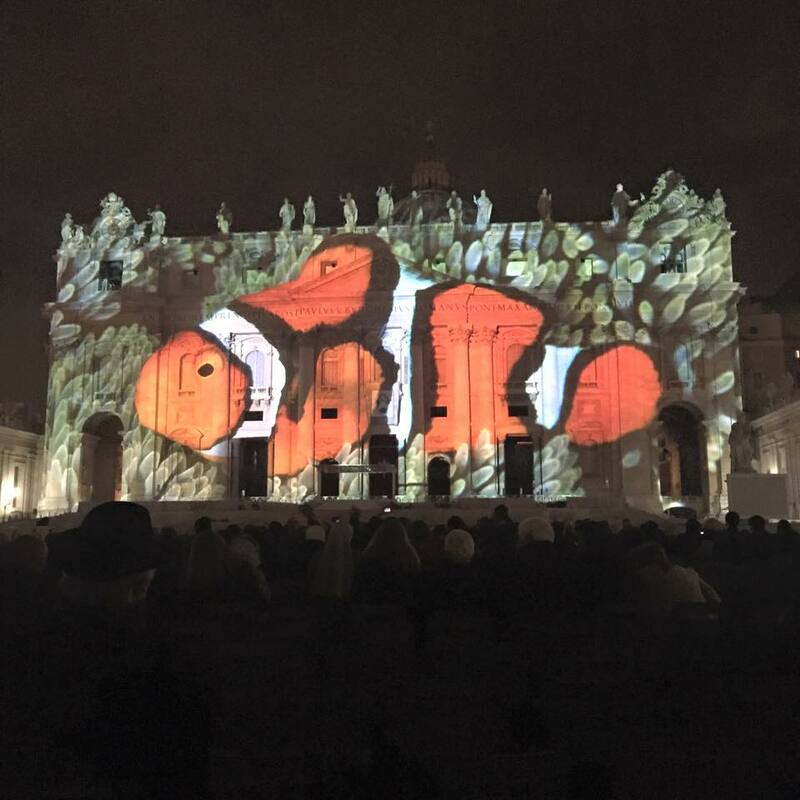 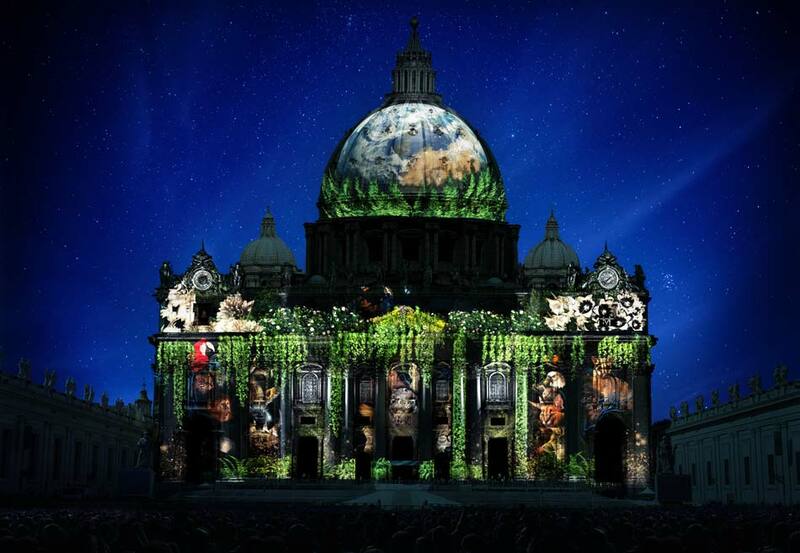 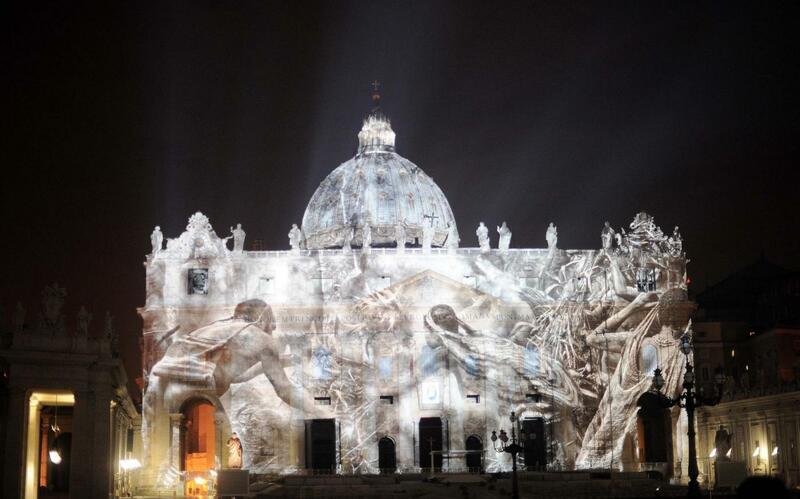 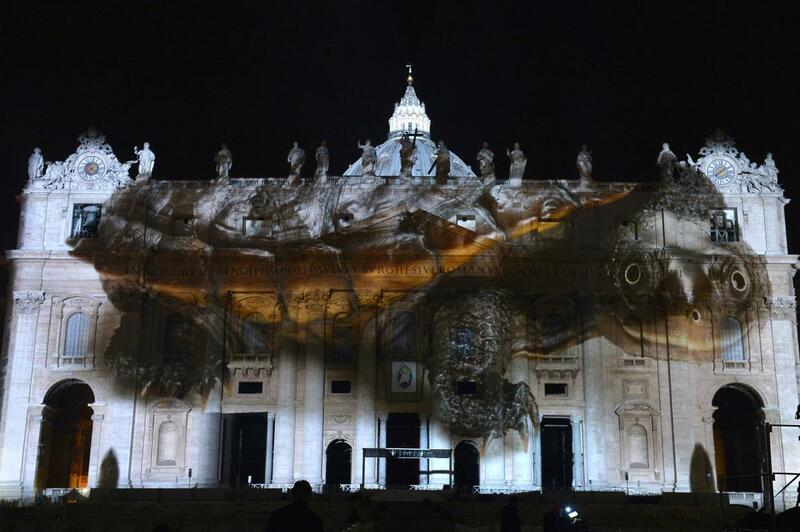 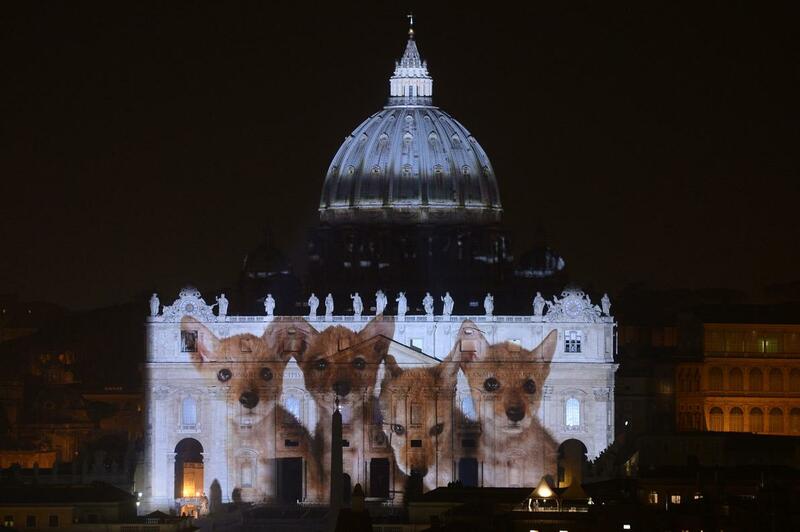 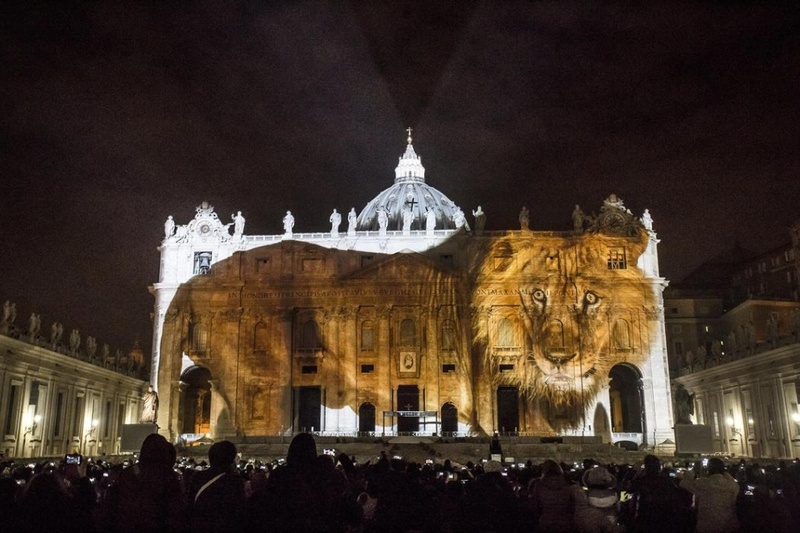 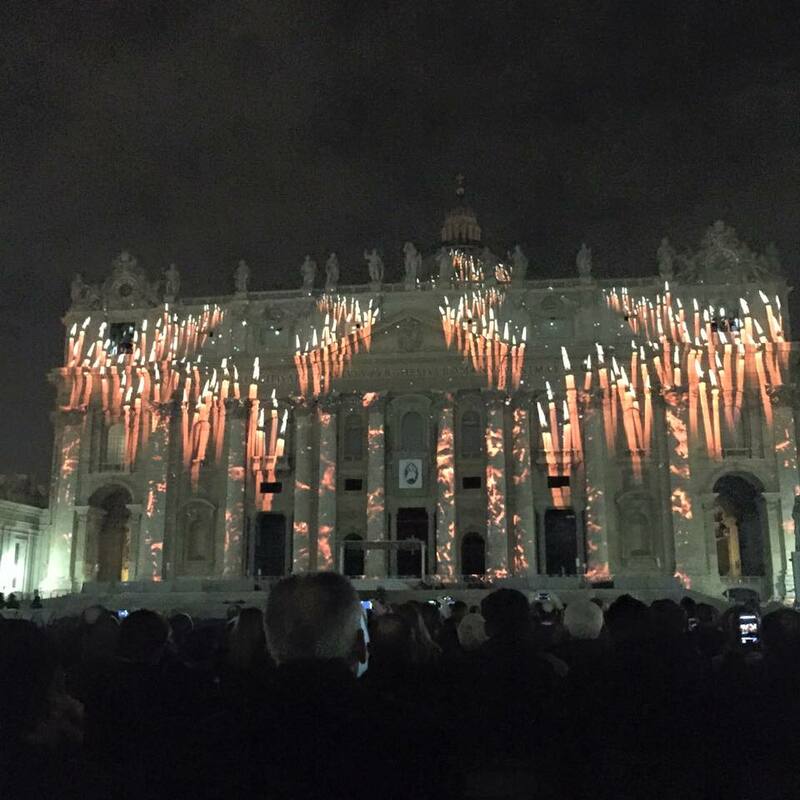 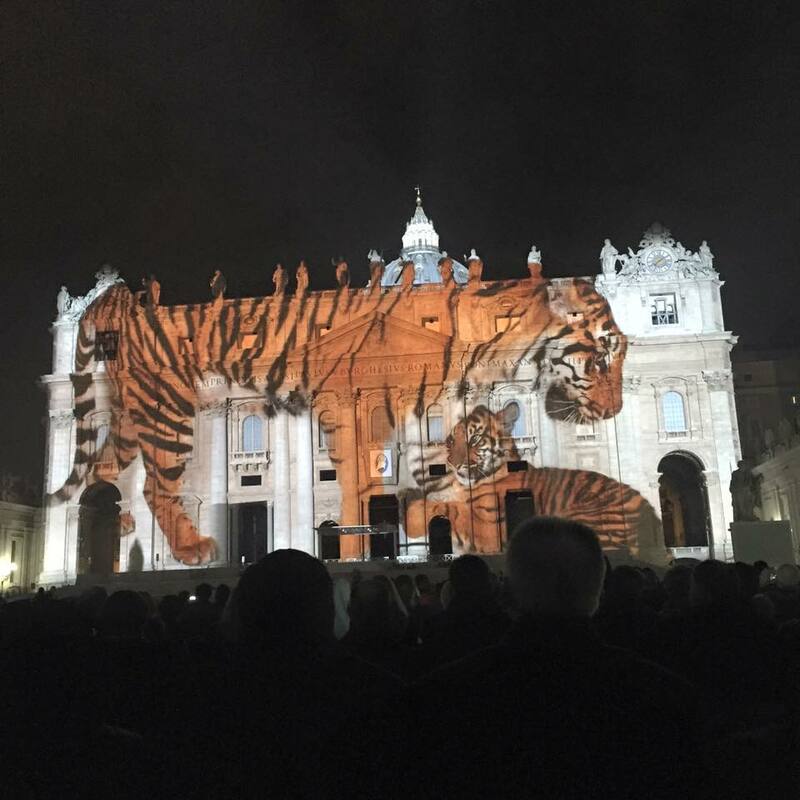 The light show has the blessing of Pope Francis, who released an encyclical on climate change earlier this year, said Louie Psihoyos, another curator and director of the film "Racing Extinction". 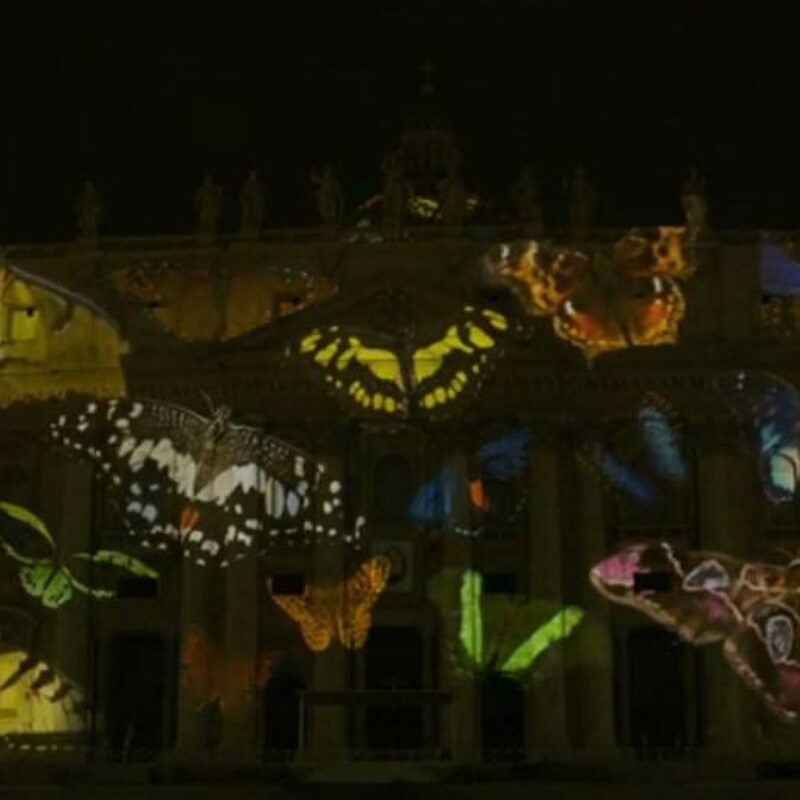 Fifty giant projectors situated on huge towers will turn the white facade of the basilica into a massive screen for colorful movie-like images of the world's creatures. 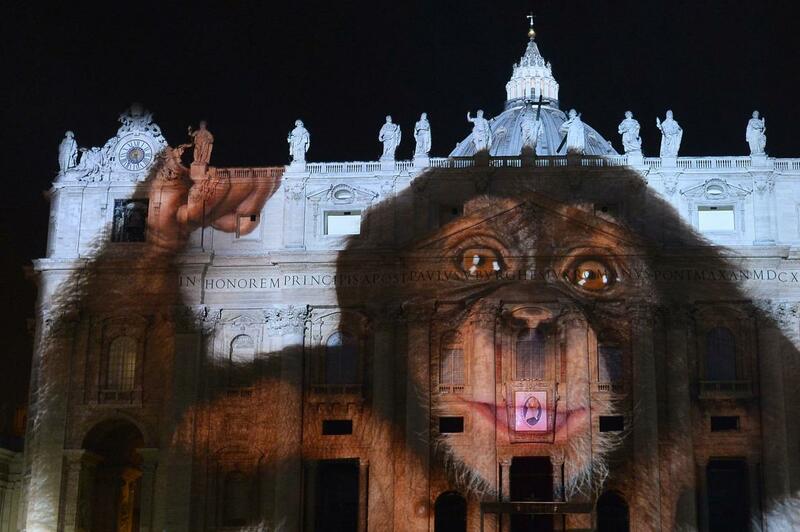 "It's kind of like if Michelangelo had Photoshop", Psihoyos joked. 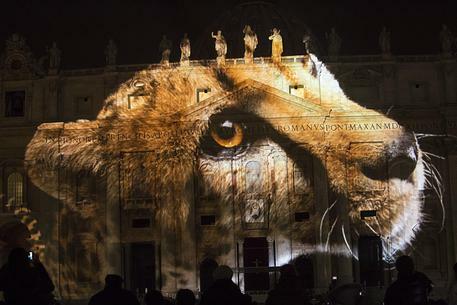 In July and August, the team projected images of endangered animals onto the United Nations and the Empire State Building. 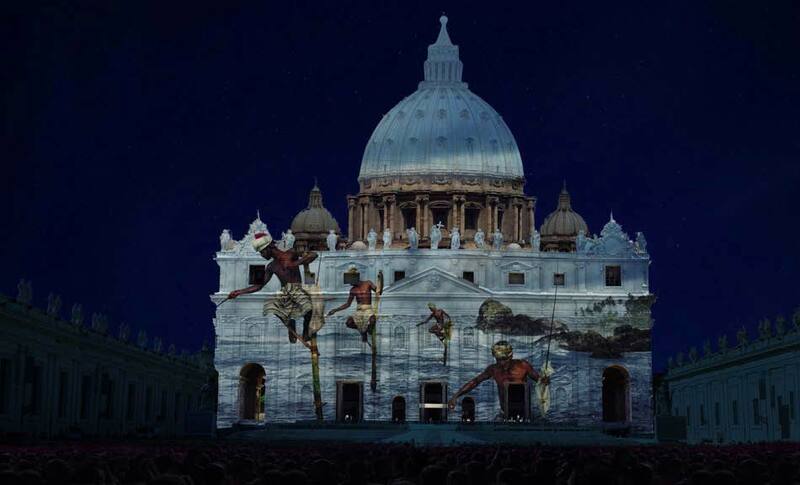 The expect the audience for the Vatican show - timed to coincide with the launch of the Catholic Church's yearlong Extraordinary Jubilee of Mercy - to easily surpass those. 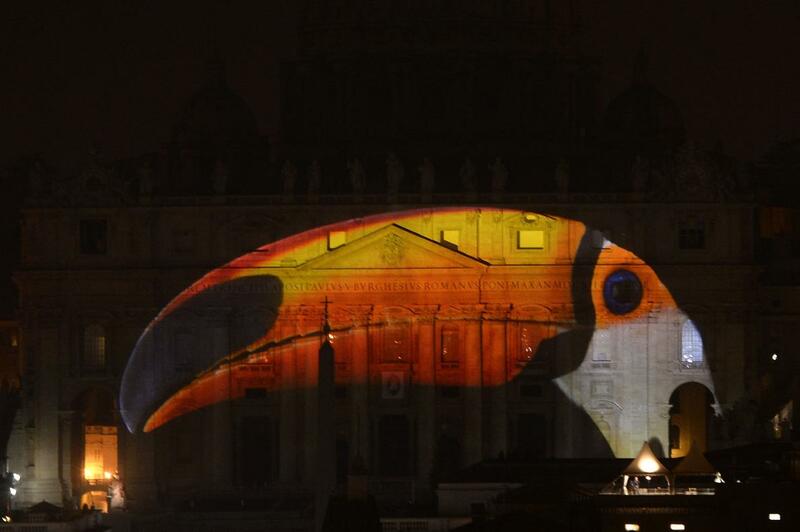 They hope the extravaganza will get people to pay more attention to the plight of the planet. 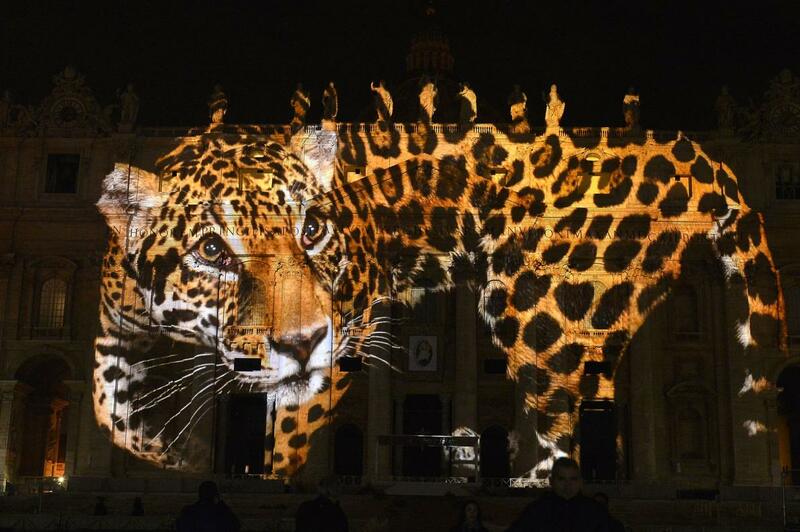 "You have to do something audacious to shock people ... to really grab their attention", Psihoyos said. 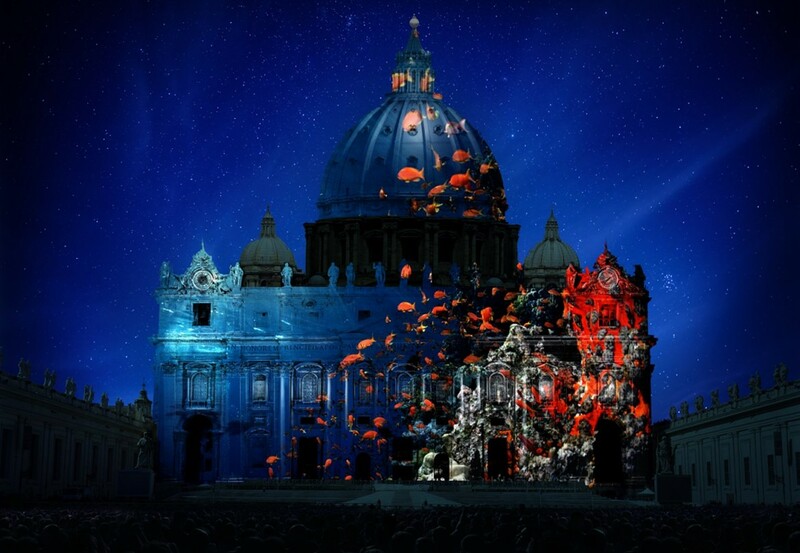 La sera dell'8 dicembre 2015, il giorno dell’Immacolata Concezione, la facciata della Basilica di San Pietro ha reso omaggio alla Terra, al Creato, illuminandosi con le immagini dei grandi fotografi, Steve McCurry, Yann Arthus-Bertrand, David Doubilet, Emmett Feldman etc. 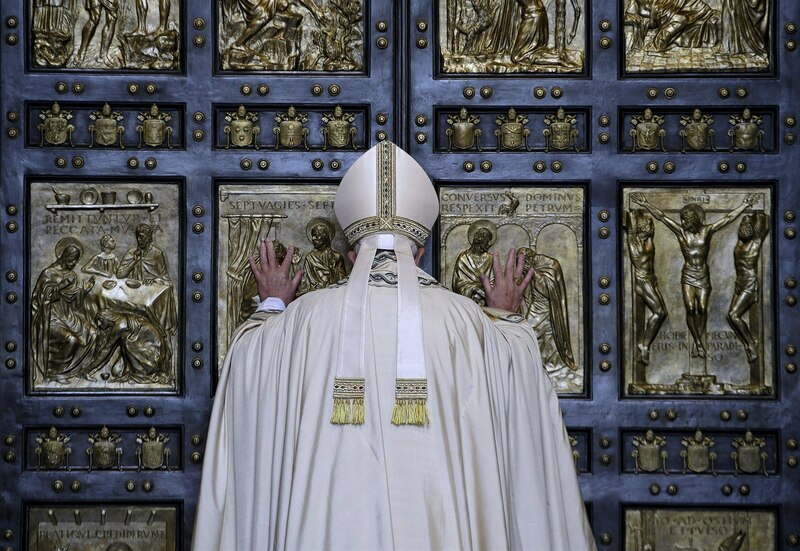 Nel giubileo della misericordia, Papa Francesco apre la Porta Santa: "Sia un anno di grazia"! 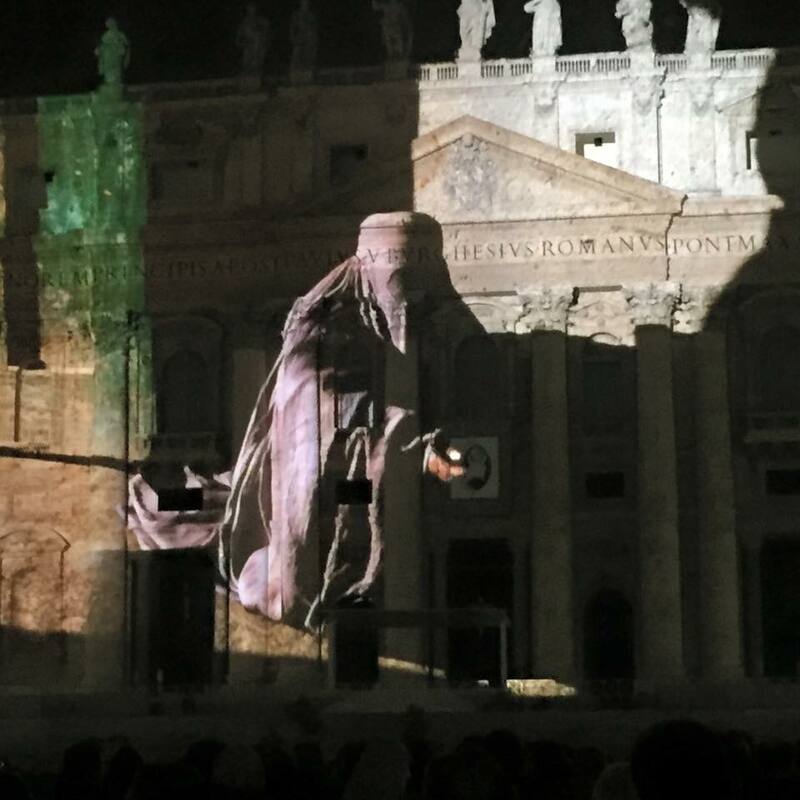 «Sentire misericordia, questa parola cambia tutto. 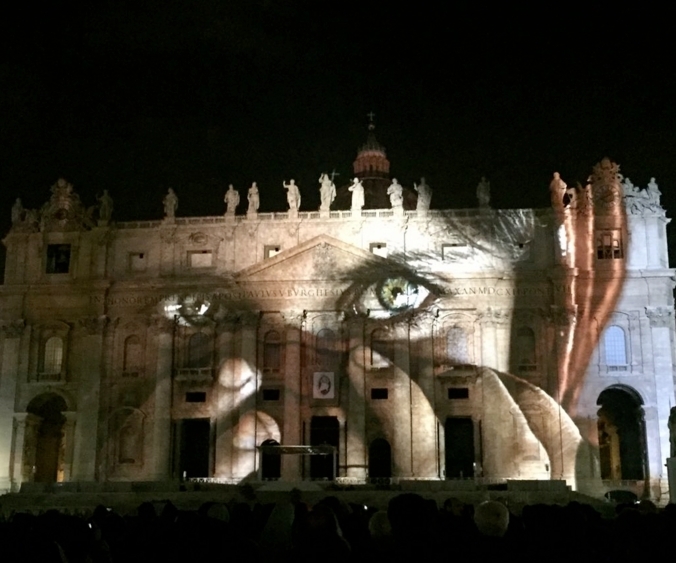 È il meglio che noi possiamo sentire: cambia il mondo. 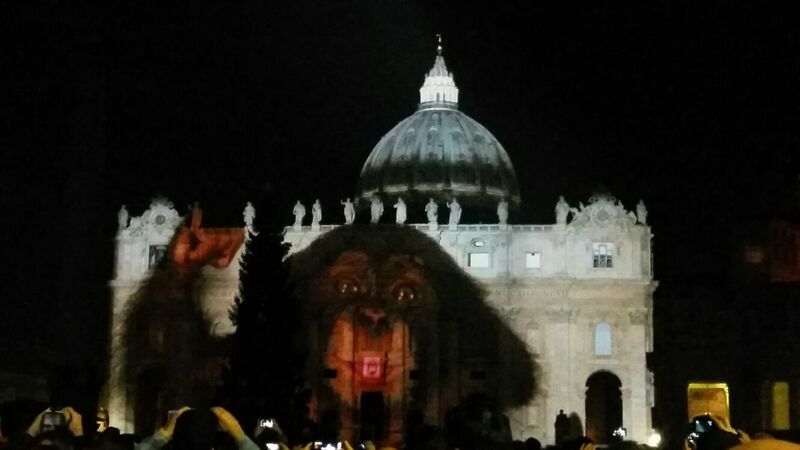 Un po’ di misericordia rende il mondo meno freddo e più giusto. 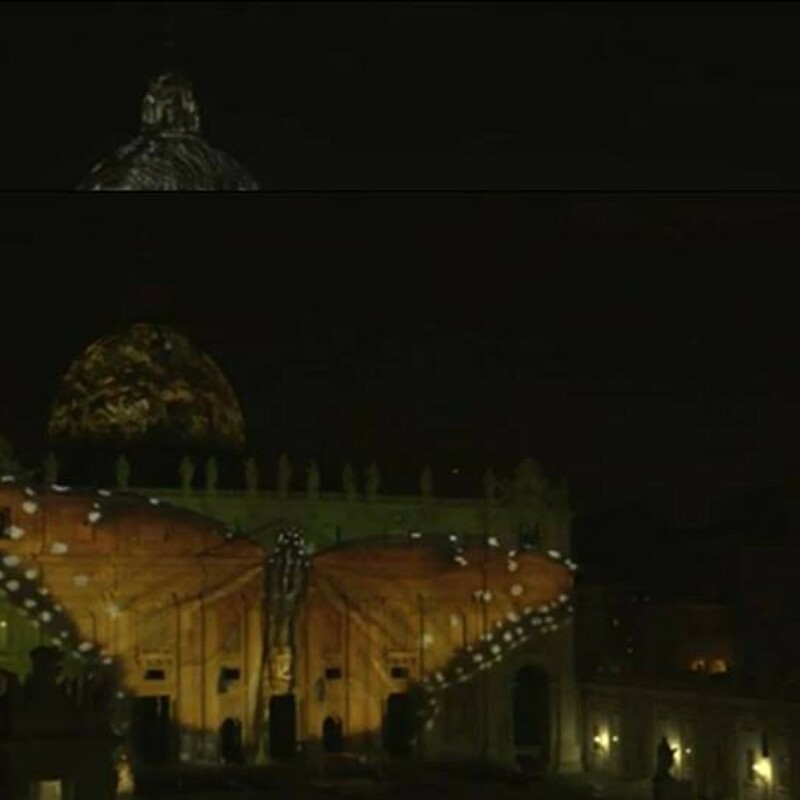 Abbiamo bisogno di capire bene questa misericordia di Dio, questo padre misericordioso che ha tanta pazienza» - aveva detto il Papa durante il suo primo Angelus. 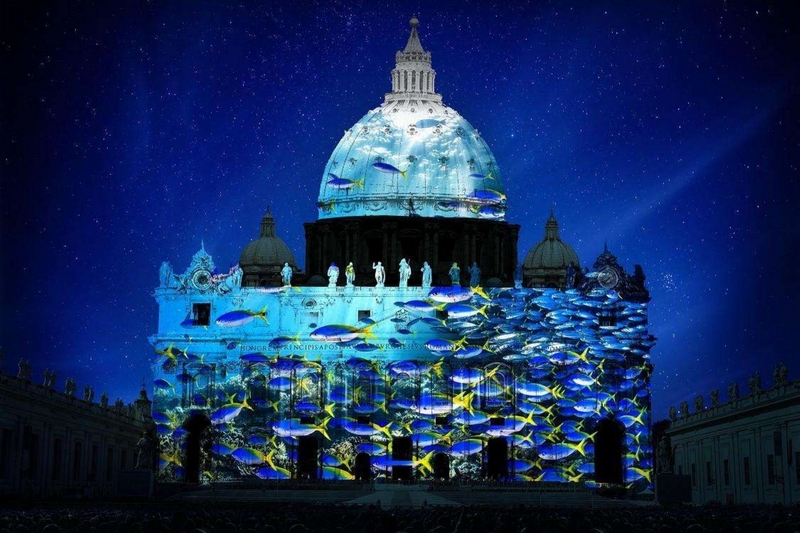 La bolla Misericordiae Vultus chiarisce ulteriormente il concetto. 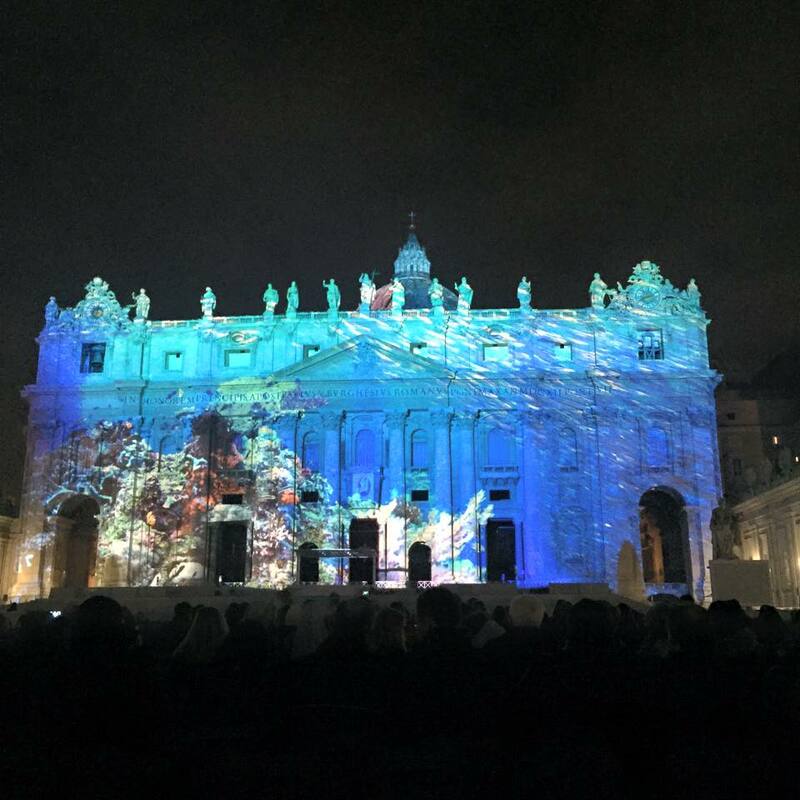 Il Giubileo Straordinario della Misericordia si svolge dall’8 dicembre 2015, con l’apertura della Porta Santa (anticipata da quella in Repubblica Centrafricana del 29 novembre) fino al 20 novembre 2016. 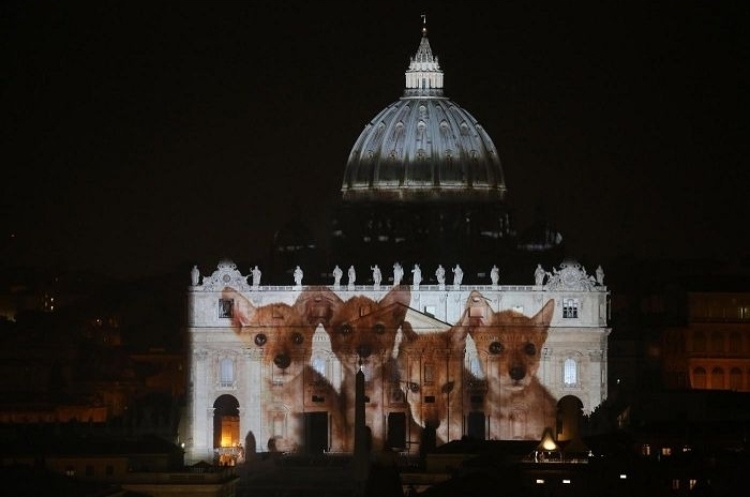 E' stato scelto l’8 dicembre come data d’inizio perché è una celebrazione cattolica, l’Immacolata Concezione (dogma cattolico, proclamato da papa Pio IX l’8 dicembre 1854 con la bolla Ineffabilis Deus), ma anche perché l’8 dicembre 2015 ricorre il cinquantesimo anniversario della chiusura del Concilio Ecumenico Vaticano II. 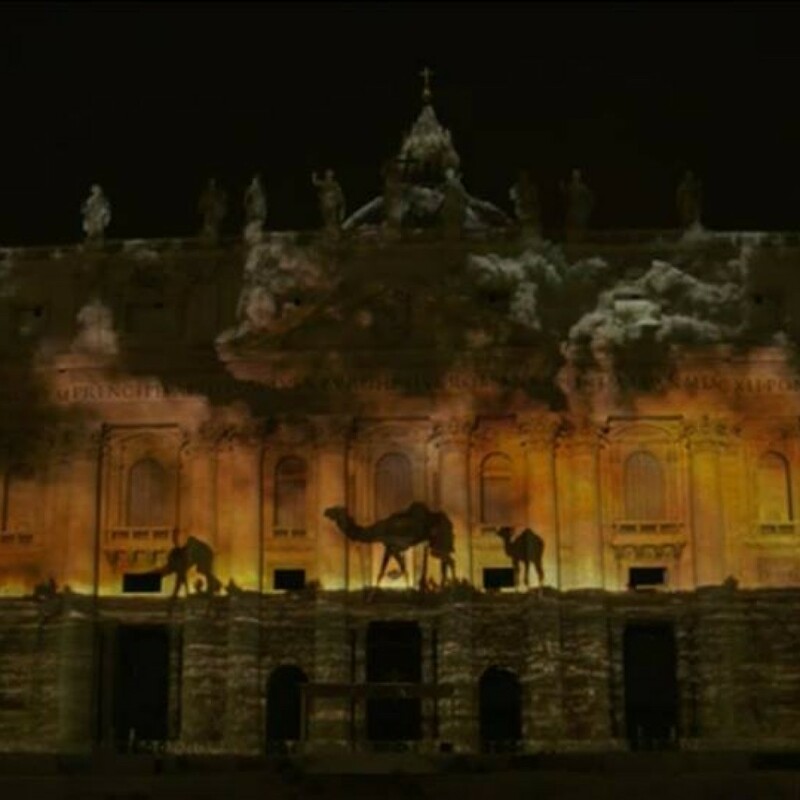 Si tratta, dunque, di un anniversario storico per la Chiesa. 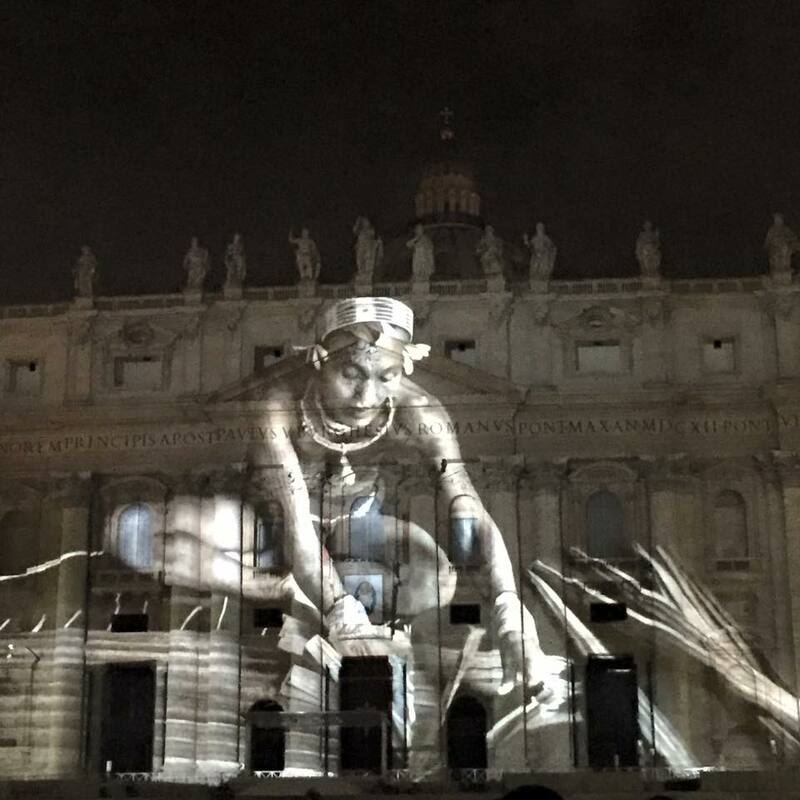 Il primo giubileo della storia della Chiesa cattolica è stato quello del 1300, voluto da Bonifacio VIII. 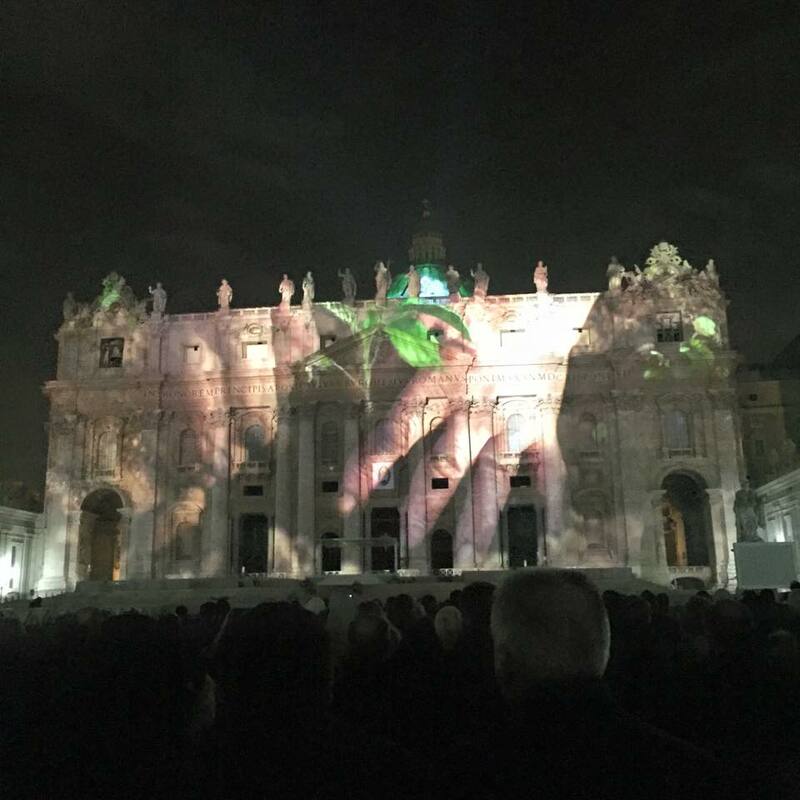 L’ultimo giubileo è stato nel 2000.